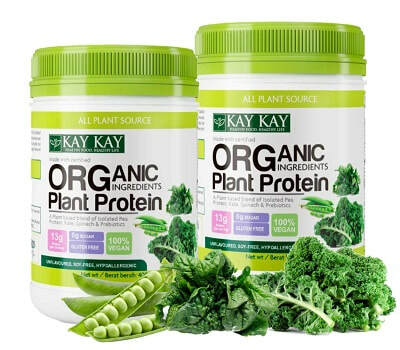 KAY KAY™ Organic Plant Protein Powder is a non-soy based plant protein powdered blend of Organic Isolated Pea protein, Kale Extract, prebiotics (inulin) and Spinach extract powder. Made with certified organic ingredients, it is 100% Vegan and hypo-allergenic. Made with more than 70% Organic certified ingredient, it is suitable as meal replacement to get your daily protein needs or for those who lead an active and healthy lifestyle.